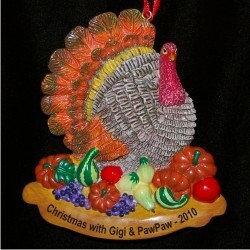 This ornament boasts a handsome Tom turkey and a fruitful bounty to be turned into a delicious meal. The Christmas at the in-laws ornament personalized to delight the recipient will be hand lettered with the details you provide. 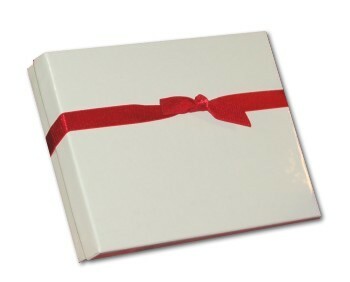 It works just as well for parents, grandparents, kids or others who host you during the holidays. We'll include a sateen display ribbon with the Christmas at the inlaws personalized Christmas ornament and ship it in our gorgeous velvet gift pouch. Browse all of our resin holiday ornaments for other great ideas for special people on your gift list.